Just in time for Canada Day, we have a new ad for Molson Canadian, but it has me thinking that someone’s been watching too many Coca-Cola Happiness Machine videos. However, a fridge full of cold beer has far more potential to spread happiness as far a I am concerned. The ad created by Rethink, features a beer fridge created by London(UK)-based effects company Artem. 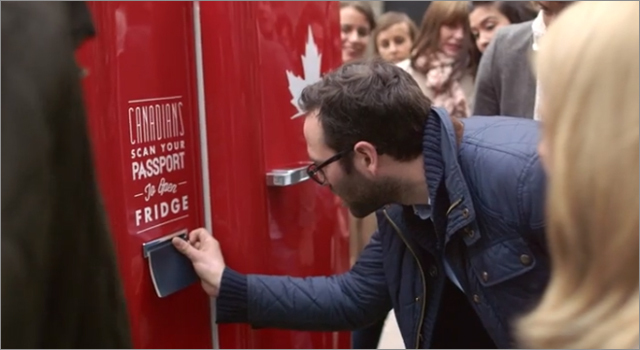 The bright red fridge was left at random spots in France, Belgium and the UK, and could only be opened by scanning a Canadian passport. 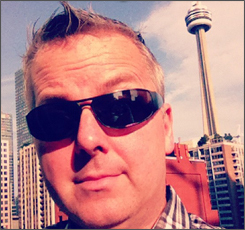 Thankfully for the thirsty locals, a Canadian tourist is quickly located nearby. Their passport scanned and cold bottles of Molson Canadian is distributed for all to enjoy.